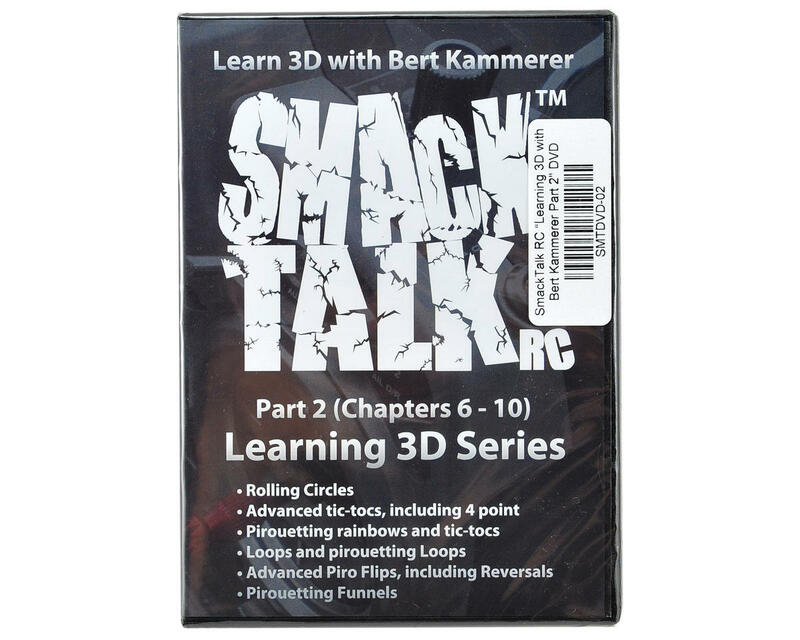 This is the SmackTalk RC “Learning 3D with Bert Kammerer Part 2" DVD. Part 2 of the “Learning 3D” series includes chapters 6 through 10 of the Learing 3D series. If you are flying 3D, but are looking for some help with more complex manuvers, then Part 2 is the perfect teacher to help you take your skills to the next level! You will not only learn complex maneuvers, but you will also learn how to teach yourself by learning the skills needed to improve your technique.